In the most recent screenshots and publicity material, the appearance of a new Shenmue III logo has been the source of some confusion. 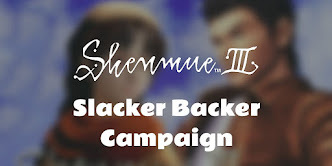 Following feedback on the "Papyrus font" logo style that had been used at the initial Kickstarter project launch, YS Net announced at the end of June (see previous post) that the logo would change to the "classic" Shenmue style. And now, at Gamescom, a third, handwritten-style logo has been presented. 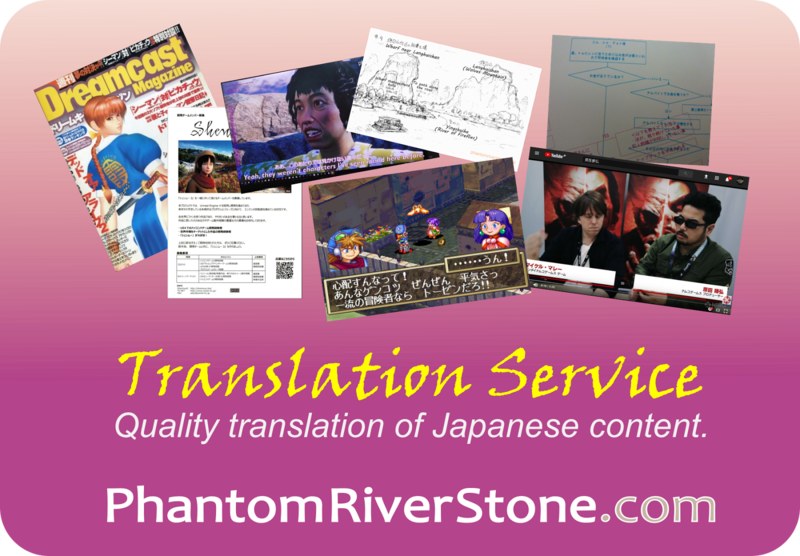 Top: the old "Papyrus font" style from the Kickstarter launch. Middle: the "classic" Shenmue style, as revised at the end of June. Bottom: the latest logo design, seen at Gamescom. The recent change of logo was addressed in today's Kickstarter Update #73. 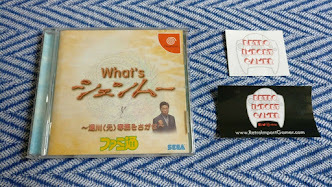 To the surprise of many, the update revealed that Yu Suzuki himself was the one who designed and drew the new logo, after much consideration. Yu Suzuki with calligraphy brush. On closer examination, the characters on the paper appears to read "500K" - a reference to the Shenmue 500K Facebook group or something else? Hence this was Yu's own decision, made with the best of intentions as creator of the series. Timing-wise, this is something that should really have occurred prior to the June announcement that informed backers that the classic logo had been selected. However the fact that Yu is inviting feedback in his message indicates that the decision is not a cast-iron reversal, and that a return to the June logo is viable depending on backer feedback. It is unlikely that this explanation on how the new logo was designed will sway the opinion of those who strongly prefer the classic style for aesthetic reasons. But, with Yu having now outlined his own well-intentioned thoughts behind the new logo, regardless of people's opinions on the matter I hope that any feedback will be given in a respectful manner. Shenmue III Video "The First Teaser"
Yu Suzuki Selfie: "About to Head to Gamescom"